Since May observes National Osteoporosis Awareness and Prevention Month as well as National Women’s Health Week (May 13-19, 2018), it seems fitting to spend a few moments familiarizing ourselves with the basic nutrients required to support healthy bones. Fruits, vegetables, nuts and legumes will always be the ideal way to obtain nutrients. However, considering that fewer than 15% of U.S. adults meet the recommended daily intake of fruits and vegetables, supplementation is frequently needed. While calcium is the most well-known, a number of other minerals and vitamins are necessary for bone health. In addition to calcium, below is a review of several key nutrients including vitamin D, vitamin K, phosphorous, magnesium and boron that play an important role in building and remineralizing bone. Unfortunately, only about half the population meets the daily recommendation for calcium intake. Our modern diet also effects how much of this calcium we hold onto. Most Americans consume large amounts of saturated and trans-fats, animal protein, sodium and sugar all of which promote blood acidity (on a pH scale). To restore the proper acid-alkaline balance in the blood, potassium, magnesium and calcium are pulled from the bones. 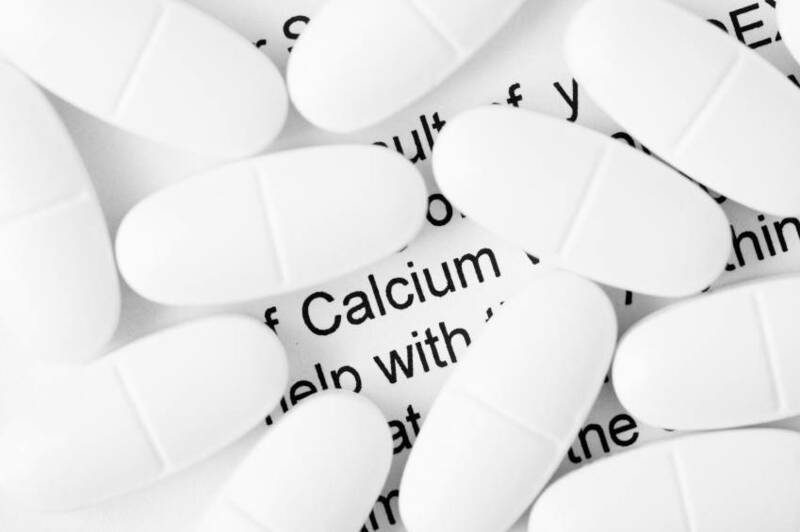 Common forms of calcium found in supplements include calcium citrate, calcium carbonate and calcium ascorbate. While each of these forms is readily absorbed when taken with food, calcium citrate contains more elemental calcium, which means that fewer tablets are required to obtain optimal amounts. It is important to note that merely consuming ample amounts of calcium is not as important as proper metabolism and utilization of calcium. Aside from the nutrients mentioned here, stomach acid and some hormones, such as estrogen and PTH (parathyroid hormone), also play important roles in regulating the metabolism of calcium. Also, there is good evidence that shows that supplementing with calcium at night may be ideal since this is the time that bones naturally break down and releases minerals. The Recommended Dietary Allowance (RDA) for calcium in women 19-50 years is 1,000 mg with an upper limit of 2,500 mg. Adults over the age of 50 should aim for 1,200 mg daily. Those with osteopenia or osteoporosis may need upwards of 1,500 mg per day. VitaMedica’s Bone Support evening supplement provides 750 mg of calcium in a rice chelate to improve absorption. Dairy products are the most well-known source of dietary calcium but may not always be the best option. Other sources of calcium include leafy greens like collards, kale, spinach and chives; beans and legumes; and fortified drinks such as orange juice and soy milk. Calcium needs vitamin D to be absorbed by the body and incorporated into bones. In fact, without vitamin D, only 10-15% of calcium present in the body can be absorbed. Since vitamin D is rarely found naturally in foods, it must be obtained through fortified foods, supplementation, or synthesized by the body through sun exposure. In addition to its bone health benefits, vitamin D exerts many anticancer properties, particularly against breast and colon cancer. Most Americans don’t get enough vitamin D, especially during the winter months when there is less sunlight, making supplementation that much more important. Vitamin D is sometimes considered to be a hormone because it can be manufactured in the body and is transported through the bloodstream to signal an increase in the absorption of phosphorus and calcium. Vitamin D is available in two forms: D2 (ergocalciferol) and D3 (cholecalciferol). Vitamin D2 does not occur naturally in the human body and is produced by irradiating yeast with ultraviolet light. Vitamin D3 is natural to humans and is produced in the skin by the action of sunlight. Vitamin D3 is the preferred form and is believed to be safer, more stable and at least 3 times more potent that D2. Most foods high in vitamin D are fortified. As an example, all non-fat and low-fat dairy products are fortified with vitamins A and D. Other natural sources included certain types of fish like sockeye salmon, canned tuna, mackerel and cod liver oil. The RDA for vitamin D is 200 IU for adults up to 50 years; and 400 IU for those 50-70 years with an upper limit of 2,000 IU. However, based on recent studies which indicate the benefit of higher amounts especially in adults and seniors, the Institute of Medicine is examining if the RDA should be increased. Between diet and supplementation, the National Institutes of Health recommends obtaining 400-600 mg/day if you are under the age of 50 or 800-1,000 mg /day if you are over the age of 50. Emerging evidence is now suggests that 800-1,000 mg per day may be ideal for individuals of all ages. VitaMedica’s Energy Support and Bone Support supplements are each formulated with 450 IU of vitamin D3. These two supplements are combined in the Multi-Vitamin & Mineral program, providing 900 IU daily of this important fat-soluble vitamin. Vitamin K is needed to produce osteocalcin, a protein that helps bind calcium and phosphorous to the protein matrix of bones, and is therefore vital for calcium utilization and regulation. Vitamin K also helps transport protein-bound calcium out of the arteries and to where it is needed in bones, organs, and other tissues. Vitamin K generally refers to a combination of two naturally occurring K vitamins: K1 (phylloquinone) and K2 (menaquinone). K1 is found in many vegetables, including leafy greens and broccoli. K2 is produced by bacteria and is found in fermented foods like cheese. The RDA for vitamin K is 120 mcg for adult men and 90 mcg for adult women. An upper limit has not been established for this fat-soluble vitamin. Foods high in vitamin K are generally good sources of calcium, as well. Sources include leafy greens such as spinach, kale and many greens used for seasoning like parsley, basil, and coriander. Individuals who are taking blood thinners, such as Coumadin® (warfarin), should use caution when consuming or supplementing with vitamin K as it can reverse the effects of the medication. Phosphorus is the second most abundant mineral in the body (after calcium), with half of all bone made of this mineral. Phosphorus combines with calcium to form a mineral crystal called hydroxyapatite (the same compound that comprises Radiesse, a filler material) that gives strength and structure to our bones and teeth. Adequate consumption of phosphorus is necessary for proper remineralization of bones and teeth. Ideally, phosphorus should be equally balanced by calcium and too much phosphate can be toxic. Unfortunately, the Western diet includes far more phosphorus than calcium due to excessive consumption of processed foods, meats and soda. When too much phosphorous is consumed, proper absorption of calcium can be inhibited. In order to prevent osteoporosis, a delicate balance between the two minerals must exist. Although the RDA is just 700 mg in adults, most Americans get closer to the upper limit of 4,000 mg. Onions, peppers, carrots, leeks and potatoes are all healthful sources of phosphorus. Phosphorus levels in the blood may be depleted when using alcohol, antacids and certain blood pressure medications. Do not supplement with potassium if you are currently taking phosphorus supplements. Magnesium is essential for bone formation and bone turnover as well as vitamin D conversion. In fact, a magnesium deficiency can cause vitamin D resistance. Additionally, magnesium helps to maintain normal muscle and nerve function, a steady heart beat and normal blood pressure. Magnesium can be found in many different forms. Generally, magnesium is easily absorbed, especially when bound to citrate. The RDA for magnesium is 320 mg in adult women and 420 mg in adult men. There is no risk of toxicity from dietary sources alone. In the U.S., most adults consume less than 68% of the RDA for magnesium. In order to meet the daily requirement, aim to consume foods high in this mineral like green leafy vegetables, whole grains, legumes, nuts and seeds. Augmenting your diet with VitaMedica’s Bone Support supplement, which is formulated with 450 mg of chelated magnesium also helps to cover gaps in your diet. Boron is a trace mineral that is used by the body to ensure proper metabolism and utilization of calcium, magnesium, vitamin D and some hormones like estrogen and testosterone. While scientists have been unable to determine the exact mechanism of action, studies have shown that boron may have mineral conserving effects that reduce the amount of calcium and magnesium lost in urine and, more importantly, lessens the effects of vitamin D and magnesium deficiency. Additionally, boron is believed to improve cognitive functioning although there is no evidence to support this claim. Boron is predominately found in fruits, vegetables, nuts and legumes however dried fruits such as raisins and prunes are especially good sources. There is no established RDA for boron at this time. 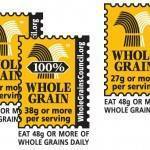 The average American diet includes approximately 1 mg/day of this important mineral. 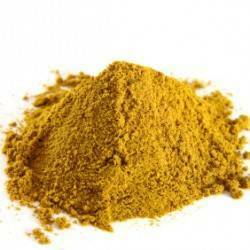 Boron has been safely used therapeutically at doses of 3 mg/day or more. In fact, populations that consume up to 4 times this amount have fewer joint disorders and less incidence of osteoporosis, suggesting that boron is not just important in bone health but joint health, as well. Osteoporosis is a silent disease and oftentimes we don’t know our bones are weak until it’s too late. Not only are fractures painful and debilitating but they are also very costly. Taking measures to prevent osteoporosis is critical and knowing which nutrients your body needs, along with a healthy diet and lifestyle, are necessary for prevention. There are many different vitamins and minerals that play an important role in bone health. Each nutrient has its own essential and multi-faceted role and none are as effective without the presence of the others. For good bone health, it is important to avoid singling out only one or two nutrients for supplementation. Rather, make sure to consume a broad spectrum of bone supporting nutrients for optimal bone health.